This is why enlightened people could do the things they could do. If you read The Autobiography of a Yogi then you will see that much more is possible than we believe. In this episode, I show you how to set intentions with powerful energy behind them so that you not only get closer to your goals but also raise your consciousness as well. Want to know how to "let go" and "intend" at the same time? In this episode, Leeor and I share the most commonly misunderstood concepts of the Law of Attraction that may be ruining your life and show you exactly how to turn it around. There is currently a 3D to 5D earth split happening on the planet and if you want to ascend to a higher dimension the opportunity is there. In this episode, I show you exactly what that looks like as well as to how you can make the shift. What you perceive in your reality is a reflection of you and your relationship with YOU. People can feel how you feel about yourself and respond to you based on that. In this episode, we look at the quote, which comes from Neville Goddard, and I show you exactly what it means as well how you can use it to transform your life. Listen to this meditation and you will SHIFT your level of consciousness INSTANTLY. There are 3 parts to this meditation and each part will elevate your level of consciousness to the next level. You will learn how to observe the old reality and relate to it from a higher level of awareness. Then you will move into a state of unconditional love beyond that which you have experienced. Listen to this for 21 days and watch how much your life changes. Doing these 4th-dimensional habits regularly has the potential to shift your level of consciousness. We are currently shifting from a 3d level of reality to a 4 and 5D level of reality and our habits keep us perceiving that which we are the vibration of. In this episode, I will show you exactly what to do to SHIFT your level of consciousness in a powerful way using 4th-dimensional habits. Reality Transurfing is the most powerful manifestation process I have ever found. This goes beyond the law of attraction and will show you how to manifest easier than ever due to the higher vibrational awareness Reality Transurfing provides. In this episode, I will show you my step by step process I personally use for manifesting what I want. Find your high-vibe tribe (whether that be in a relationship or friendship) by listening to this new episode with special guest Leeor Alexandra. The Spiritual Awakening path isn't always easy and along that way, much can happen that makes you feel alone in the process. However, if you do the things we share in this episode, you will attract more and more of what you want. There is a Solar Flash coming that will change the consciousness of the planet. There are many solar flashes that have BEEN happening and as each one hits, it changes the timelines of humanity. The sun is connected to us and when we tap into the energy of it and use it for growth we accelerate that process. The Solar flash is not to be feared, however, it is to be prepared for. In this episode, I will show you exactly what to do to prepare and what may happen. Hack the Divine Matrix by knowing the rules of how reality works. Most people are reacting to their environments, totally unaware that there is MORE to life than what is perceived through the senses. We are Divine spiritual beings living temporary human experiences and when we know this, we upgrade our level. In this episode, I will show you how to hack the system and tap into your divine essence. The key to raising your vibration is letting go of what is holding you in the lower vibrational states of consciousness. People ask me often how to "let go" and "set an intention" at the same time and in this episode I reveal the most powerful way to do that. Whether it be letting go of negative thoughts, letting go of limiting beliefs, letting go of attachment or letting go of the outcome, this episode will show you the most powerful ways I do that plus show you some stories from my own life, some of which I have NEVER shared. We are currently Ascending into the 4th Dimension and NOW is the time to make the SHIFT. Ascension is about raising our vibrations PAST that of the old 3d reality and then embodying our higher vibrational state of consciousness. In a way we are merging our "lower self" with our "higher self." I'll show you exactly how you can make this shift in consciousness and raise your vibration to a whole new level. Many people are trapped in the third dimension due to their focus, emotions, and energy. The key is learning how to break out the matrix to then experience higher levels of consciousness. We are spiritual beings having temporary human experiences and when we wake up to this, we wake up from the mass hypnosis of social conditioning which keeps us in a narrow frequency band of experience. In this episode, I will show you how to break out of it. Enlightened people have an extremely HIGH vibration and therefore can manifest very quickly. We must understand that first off, we can apply these enlightened principles in our own life AND that we must come from a very pure place. In this episode, I will show you EXACTLY how they do it and how you can too. Go BEYOND Beliefs and into BEING with this new episode. The Shift Experience is about shifting into a new way of being. Our beliefs create our reality and when we change our beliefs, we change our lives. However what happens when we go BEYOND beliefs? Beyond the 3D ego structure and into a level of consciousness of a much higher vibration. This episode will show you exactly how to do that in a practical and simple way. Here is the TRUTH on Astrology and Ascension...and it has to do with MORE than what you think. When you wake up from social conditioning and break out of the "matrix" you start to create from a new paradigm. Astrology will then take on a new role in the process of influence and Ascension will take precedent and have a MUCH more powerful effect. You are SHIFTING through parallel realities every second. The key to shifting to the reality you want has to do with CHOOSING it from a level of awareness. This is one of the most powerful meditations I have ever done and will let you shift easier than ever. The reality you want to experience already exists and this meditation will help you SHIFT to it. Go Beyond the law of attraction by raising your vibration and experiencing a spiritual ascension. The paradox is, by doing this you not only manifest easier than ever, but you feel better during the process as well. The higher your vibration, the easier it is to manifest. In this episode, Leeor and I talk about the stages of Spiritual Awakening/Ascension and show YOU how to move through this process. Into the realization that you are an immortal spiritual being having a temporary human experience. This episode will help you to raise your vibration and shift your consciousness. This is the most powerful meditation for trusting the universe 100% and will help you manifest what you want easier than ever. This meditation uses metaphors and NLP to help you to wire in the subconscious mind making the manifestation process easy. Listen to this meditation to 21 days and watch how your life begins to change. The Earth is a meeting point between many different types of races. There is currently an experiment that has been going on for 1,000's of years and it has to do with DNA, ascension and many different agendas. NOW is the time to remember the Cosmic Experiment and in this episode, I will show you exactly what you need to know to move through this time on earth in a empowering way. Your beliefs create your reality and when you change your beliefs, you change your life. Any blocks you are experiencing in your life are due to your beliefs. In this episode, I will show you EXACTLY how you can change your beliefs to then change your life. This will make manifestation easier than ever allow you to architect your life in a very powerful way. During my spiritual ascension journey, I had to go through some things that were not so pleasant including going back into the "3D" world and doing some things I did not enjoy. Part of me believed that once I meditated and raised my vibration, I would not have to deal with things I did not want to. In this episode, I show you part 2 to my spiritual ascension journey and once again share things I have NEVER shared before. The Akashic Records are something you can tap into once you understand how to do it. There is an energetic grid around the planet that contains within it the "records" of all beings past, present, and future. Tapping into this can allow for powerful healing within the timelines and can also aid in the process of awakening. In this episode, I will show you exactly how to tap into what is called the Akashic Records as well as to what it really is. Shift your frequency and your vibration by doing these 'vibrational hacks.' Your life is a direct reflection of your vibration and in order to change your life, you must change your vibration. Your vibration is a combination of what you think, act and feel. When you SHIFT these things, you shift your life. In this video I will show you EXACTLY how to do that. Victor and I both believed there may be a planetary ascension on December 21st, 2012. We told friends, and family and went through much ups and downs through the process. We realized the parallels while in a plant medicine ceremony and found an amazing correlation that seemed almost "too" similar. In this episode, we share the funny (and dark) sides of this awakening. This is the life to release Karma quicker than ever before. Because of this planetary shift in consciousness, we can move through so much of what took lifetimes. Some say this lifetime of ascension is a form of "graduation." In this episode, I show you how you can accelerate the process of releasing Karma in 2019. Reality Transurfing is the most powerful manifestation process I have ever found. Anytime we give something "importance" we vibrationally distance ourselves from it and BLOCK it out of our life. This meditation will show you exactly how to "Decrease importance" so that you vibrationally resonate with what you want to manifest. If you want to release resistance and ALLOW more things into your life, then this episode is for you. You are doing so much more than you know when you go to bed at night. You are awake in higher states of consciousness and you "forget" this when you wake up in the morning. In this episode, I will show you exactly what you are doing as well as how you can remember more of this. We open up on plant medicine, psychedelics and shadow work and show you how we have used it in our own life's in a very transformative way. 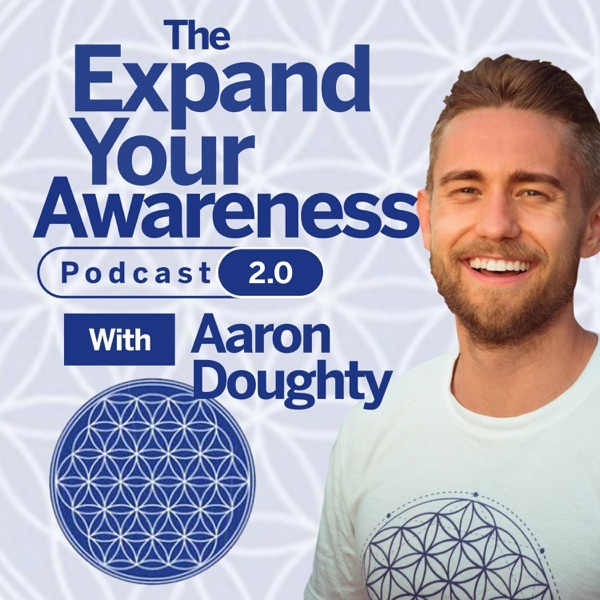 I share a story of how something called "DMT" changed my life back in 2012 and then we both share how our lives were effected from doing Ayahuasca back in November 2018. Maybe you have seen the massive change in both us and are content since then... and in this episode we share personal stories about how it impacted us. There is a SHIFT happening on the planet and it has to do with dimensions. As the planetary vibrations increase, our vibration has the potential to as well. There is a metaphorical "split" happening and it has to do with different reality tracks. In this episode, I will show you exactly what to do to make the shift and also what we can look forward to in the future. In 2012, I went through my "Starseed" awakening... At first, I didn't understand it, however as the time I went on I gained more and more clarity. We ALL have a connection to the stars... and are multidimensional. This is how you can have your own experience of this and tap into more of who you are at a spiritual level. Let's TRANSFORM your vibrational set-point in a very powerful way. In this episode I show you my top hacks for raising my vibrational set-point. Your vibrational set-point is a benchmark for your emotional range of experience. I will show you how to increase that by changing your beliefs, habits, and thoughts with simple practical techniques. If you can see this, then you are a Starseed. A starseed is someone who recognizes their multidimensionality and embodies that energy. Now on the planet is the time of waking up to more of who we are. In this video I'll show you who you REALLY are as well as show you some things that are holding you back from fulfilling your mission on earth. Your natural vibration is high and the key is tapping into it more and more. In this episode I will show you the most powerful ways I have learned to do this. I recorded this while in Costa Rica having a very profound experience. I show you what I learned through this process and how you can raise your vibration to a whole new level. Setting intentions will change your life once you start to set more of them. When you tap into what is called "source" energy, you tap into a higher vibrational energy that allows you to manifest easier than ever. This episode will show you exactly how to do that as well as how to take manifestation to a totally new level. This is the Starseed Agenda for 2019... If you are seeing this then know it is relevant to you. You can only perceive that which you are the vibration of. There is a starseed awakening happening on the planet and in this episode I show you exactly what to look out for as well as how you can be involved. Our Twin Flame Connection Story with Leeor Alexandra. We talk about things we have never shared before and address the topic of Twin Flames in depth. We show the signs of a Twin Flame connection and show you how you can attract yours as well. It was a special conversation, we open up about things we have NEVER shared and I am excited to share it with you for the first ever episode of the new podcast.